POWER ACOUSTIK - 6-1/2" 500 WATT 4 OHM COMPONENT SYSTEM WITH CARBON FIBER INJECTED MOLDED POLYPROPYLENE CONE WITH 1" VOICE COIL ON ALUMINUM FORMER, 1" FLUSH MOUNT DOME TWEETERS & PASSIVE CROSSOVERS. 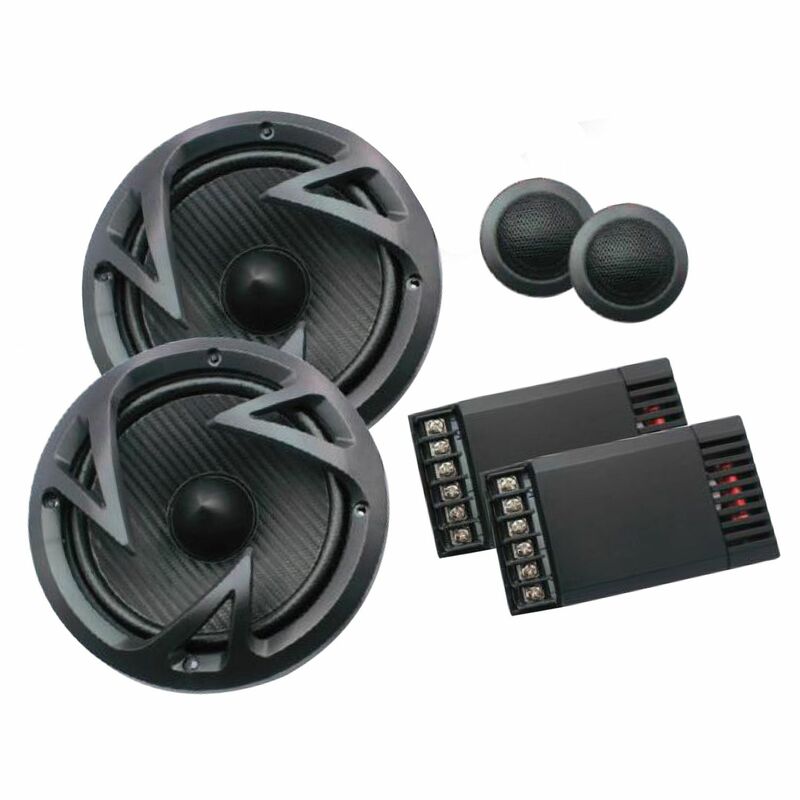 FEATURES TREATED WOVEN CLOTH SURROUND, 93 DB SENSITIVITY, 70-20KHZ FREQUENCY RESPONSE, QUICK DISCONNECT WIRE TERMINALS & CUSTOM GRILLS. MOUNTING DEPTH: 2.50"